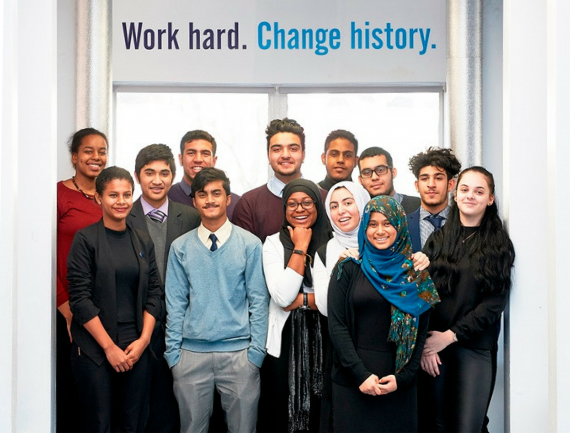 We have partnered with King Solomon Academy to help pupils gain work experience learning business skills and knowledge from professionals, as well as a networking event. These enable pupils to increase their access to work environments. For Year 10 work experience placements, the commitment would be to host one or more of the pupils for a 4-day work experience placement (11-14 July 2017). The emphasis is on gaining real experience in the job, assisting with tasks and projects within the company. They can shadow one person, but this experience not only should help them understand how a professional environment works but also to see if this is a career they would consider pursuing in the future and to have a greater understanding of exactly what tasks are involved in and what skills are used. Successful placements in the past have been given pupils a mini-project to action which broadly fits into an area the company or organisation works within. We can also set up work experience for the students over the summer holidays, so do let us know if you would be able to provide this instead. As part of preparing Year 10 for Work Experience, the Academy has a preparation day to help the pupils gain the skills require to be successful on placement. Networking is the skill of focus this year. We would like to invite you and your colleagues to a networking event on Monday 10th July. The event will take place from 10:30am-11:45am, and will give students the chance to have an informal networking session with a range of employers and enable them to practise such a vital skill, which they will use on their work experience placement. Refreshments will be provided. If you’re interested or would like more information, please contact Ruth Sherski in the BID team.